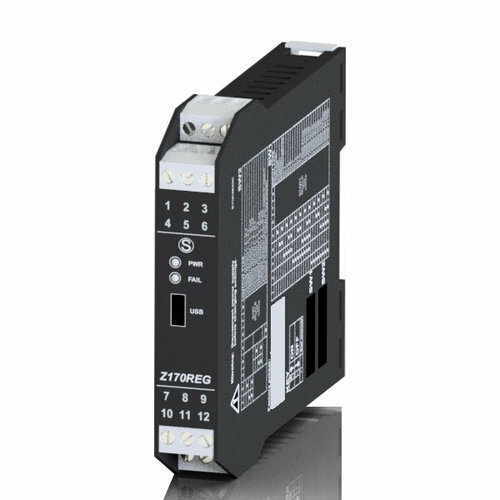 Z-Line Series offers a full range of signal conditioners including analog/digital/serial converters, temperature transmitters, galvanic isolators, splitters, trip amplifiers and math modules. They work at 10-40 Vdc/ 19-28 Vac, 85-265 Vac/dc or are supplied by the loop. Z-Line modules ensure from 1.500 Vrms to 4.000 Vrms isolation voltage for 1 minute at three points. They also supply the transducer and can have active/passive input/output and they are designed to be mounted on DIN 46277 rail.